Treatment of cyclopamine significantly reduced cell yield in all the tested human colorectal tumour cell lines with a dose-dependent manner. 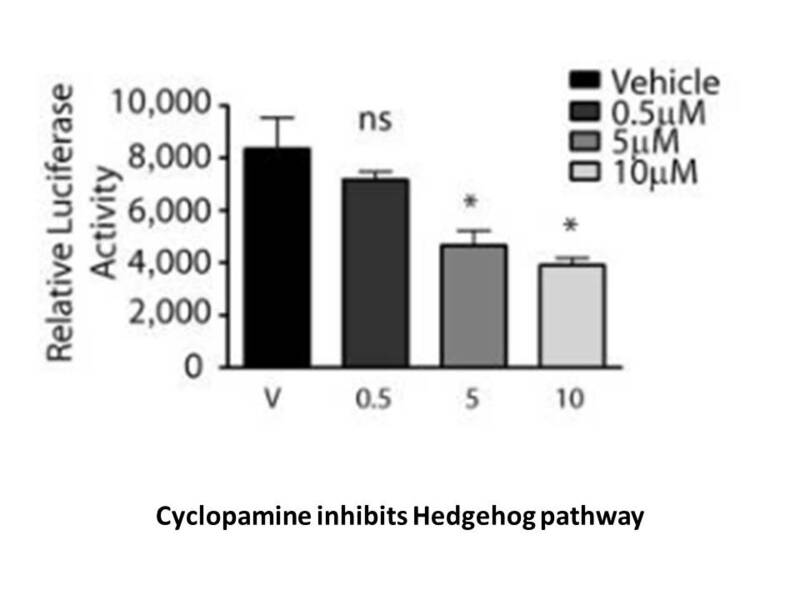 Cyclopamine also remarkably induced apoptosis in each of the cell lines. The CaCo2 cell line showed particular sensitivity to cyclopamine-induced apoptosis. Intraperitoneal injection, 160 mg/kg/day for 31 hours. Cyclopamine showed teratogenic potential in the tested animals. Affected embryos were slightly smaller than normal littermates and exhibited mild blunting of the snout as well as cleft lip and palate. Embryos exhibited unilateral and bilateral complete cleft lip with clefts extending into the primary and secondary palate. Facial clefts were often accompanied by open eyelid defects and in one embryo by forelimb syndactyly. 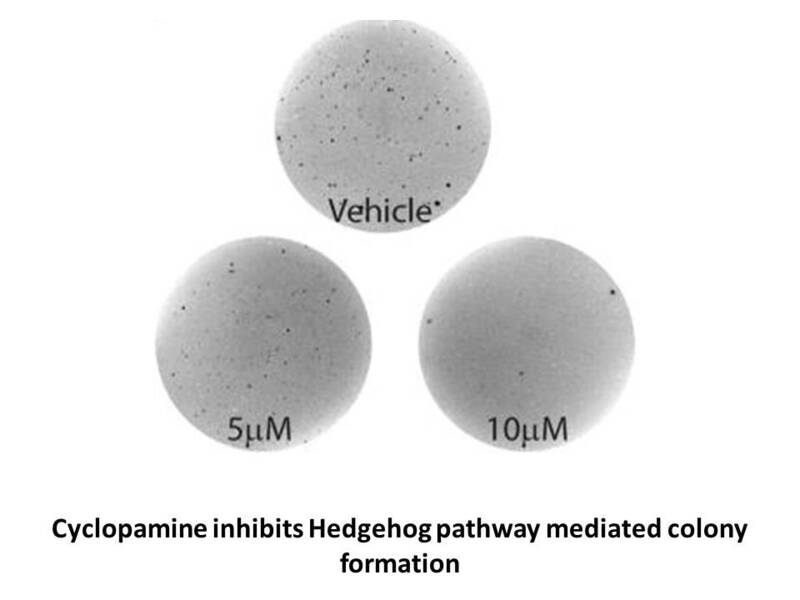 Cyclopamine is a naturally occurring Hedgehog (Hh)?specific small?molecule signaling steroidal alkaloid inhibitor, causes a profound inhibition of tumor growth, has significant anti?invasive, anti?proliferative and anti?estrogenic potency in human breast cancer cells  . 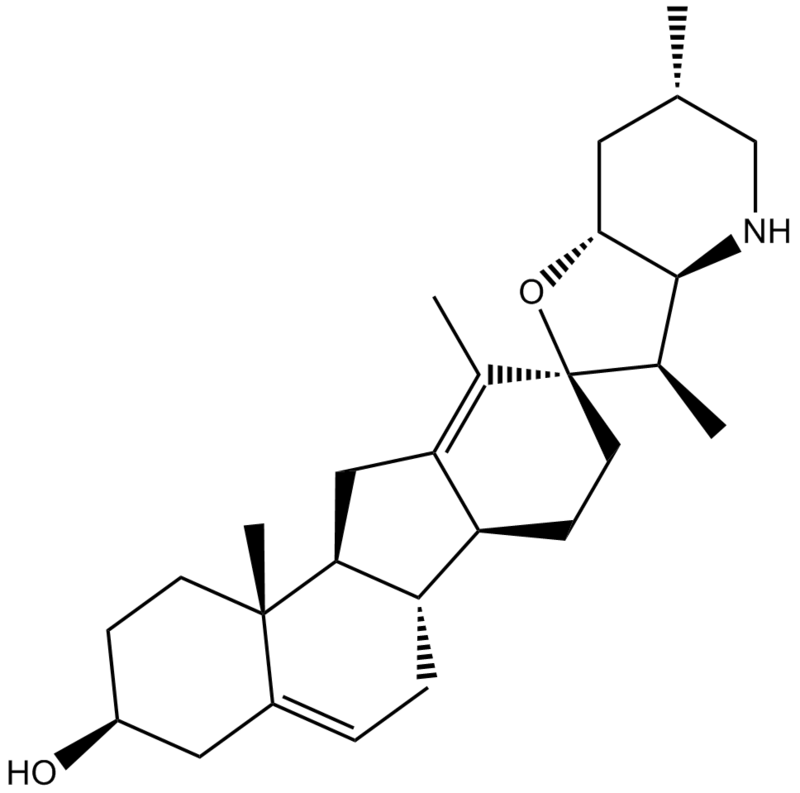 The EC50 of cyclopamine is 10.57 μM, it was identified by an FXR-bla (farnesoid X receptor- b-lactamase) assay . 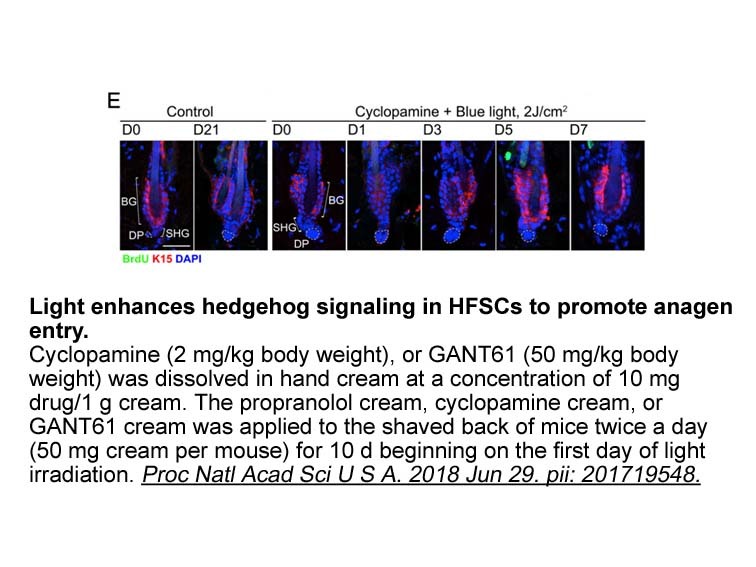 Hh signaling pathway plays a critical role in embryonic development and tumorigenesis . Hh signaling pathway shows saliency in regulating cellular proliferation and differentiation in a wide array of human tissues. It is related to aberrant cell survival in numerous human malignancies, ranging from BCCs and medulloblastomas to small cell lung, gastrointestinal, breast and prostate tumors . Embryoes exposed to cyclopamine resulted in visible external defects, including cyclopia, proboscis formation, microphthalmia, thoracic lordosis, amelia and decreased body size. Examination of gastrointestinal organs revealed severe deficits, including less length of the gut tube and mesenchymal cell numbers in foregut-derived organs. Ectopic structures in duodenum, stomach, and dorsal pancreas were also found .